A truck carrying jet fuel caught fire Sunday afternoon near San Francisco International Airport, according to a San Francisco Fire Department spokesman. 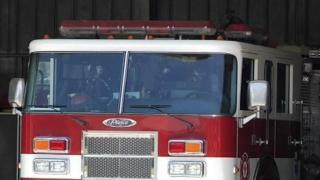 The report of a vehicle fire at the airport first came in at 12:37 p.m., fire spokesman Jonathan Baxter said. For some reason, the truck's engine caught fire as it was on a service road at the west end of the airport, according to airport Duty Manager Charles Navigante. The truck's operators were able to escape without injury, Navigante said. Firefighters swiftly arrived on scene and were able to extinguish the fire within about an hour, according to Baxter. Investigators determined the truck did not leak any fuel as a result of the fire, Baxter said.